the kinder egg: shockingly good chocolate for something that comes with a toy/choking hazard inside. find them at the k.horton specialty foods in the public market house. the lion bar: most hilariously packaged candy bar ever. also delicious. also available in international section of your local shaws (with a bunch of other equally crazy foreign candy bars). chocolate collon: and it sort of does look like little chunks of colon… delicious chunks of colon. last found at the weekend anime in westbrook (alongside the elusive and amazing everyburgers). curly wurly: my personal favorite of the british candy bars, this is a twisted caramelly affair… not elaborate, just delicious. found easily at ireland’s crystal & crafts on congress st (along with some other awesome british cadbury goodness like flake and crunchie). sponch: ok, technically this isn’t candy- but it’s called sponch, so i have to mention it. 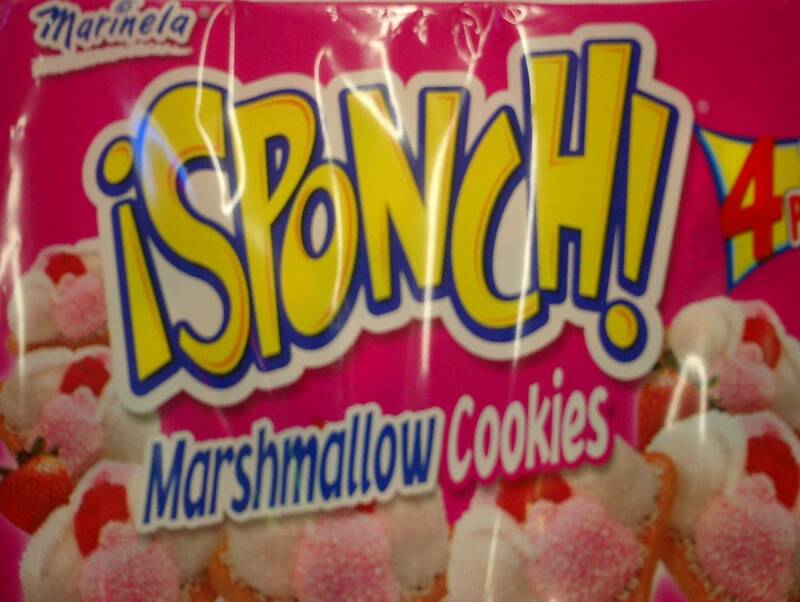 i’ve never actually eaten it because it contains gelatin, but um, did i mention that it was called sponch? some sort of marshmallowy cookie affair. apparently sponch also comes in grape. most recently spotted at the 7-11 on washington ave (across from the big apple that keeps getting robbed). kvikk lunsj: screw you regular kit kat- the norwegians have a little bar called the kvikk lunsj that looks pretty much exactly the same. hold your own taste test by hitting simply scandinavian foods out on stevens ave (and pick up some salty licorice and cheese spread in a toothpaste tube while you’re at it). Hell yeah on the Kinder egg, I had one once and it was awesome! Mine came with a like 8 piece puzzle in it. Something about that just doesn’t seem right. 8 piece puzzle eh? that is kind of lame. i find that the toys vacillate between the weirdly elaborate (moving parts! ), and completely pointless (stickers from weirdo foreign kids programs), but the chocolate is so good it makes it all worthwhile. Love the Kinder, love the lion bar, love the curly wurly. Sadly, we americans know very little about good candy. Or rather, considering how large we are, we make an amazing amount of craptastic sweets. the american palate and tolerance for low-quality food is sad. the fact that it spills over into our candy is nothing short of tragic. i’m desperately in love with japanese kit kats in crazy flavors like sweet potato and ginger ale (although you can’t get them locally, so i didn’t feature them in my post). i’m absolutely with you- have a little imagination people!! This post makes me wish I had a World Market close to me. They carry all kinds of candy from foreign countries that I had never seen anywhere before.